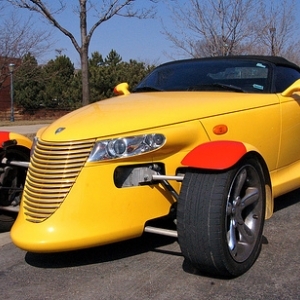 The Plymouth Prowler (later renamed as the Chrysler Prowler) is a car styled along retro lines which was succeeded by the Chrysler Crossfire. 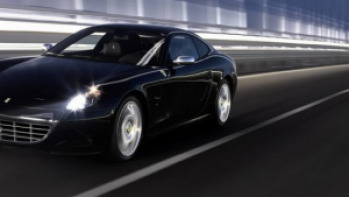 Though one may term it as a retro design car, It was not actually a retro-car for its motors were modern and powerful. The design was an independent creation of the engineers of Chrysler when they were given complete freedom to design a car of the 'sportster' or 'hotrod' type. 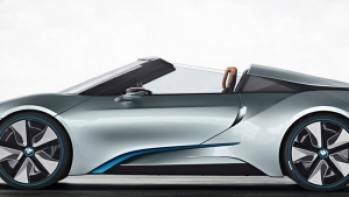 The car was more of an experimental venture and the fact that it has been discontinued shows that it was not a big hit as the company expected. 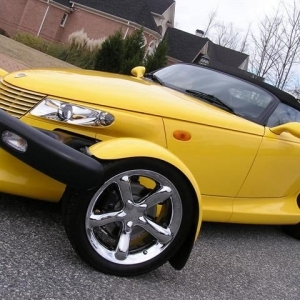 The prices of the Prowler grew through the years and in 2002 it sold for $46,000. Once inside the Prowler, one may forget that one is seated in a 'heritage' styled car. 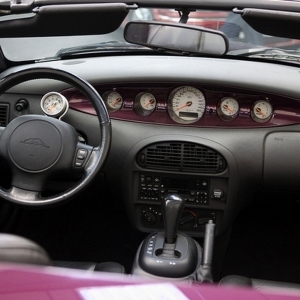 Only a tachometer sits behind the steering in front of the driver. The other gauges adorn the complete dashboard with a huge Autometer tach. Right at the center is a huge speedometer. Though the displays seem to be randomly distributed, they are easy to see and read. 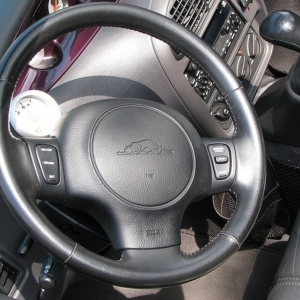 There are control buttons on a modern-looking steering wheel. 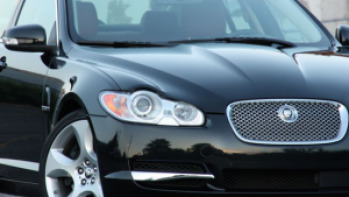 The seats are modern and comfortable and have been aligned in a very sporty position. The seats are comfortable and supportive (ergonomic) at the same time. Right in the middle is a large stereo system coupled with the venting system. 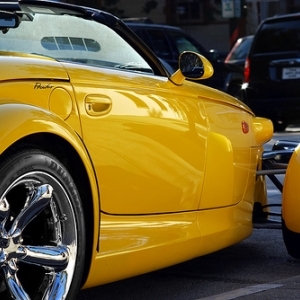 The styling of the Plymouth Prowler is completely 'heritage-based'. Looking like a dry-lake speedster, the Prowler looked like a plagiarized version of another car by the same name which was made in 1993. It had an open-wheel end at the front along with a low-slung fuselage of the hotrod variety. This open, Indy-racer styled front wheels were the distinguishing feature of the car. 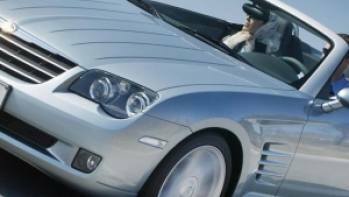 The convertible variant had an openable roof while the roadster did not had it. A long bonnet which was like a smoothed isosceles triangle in shape adorned the front and culminated in large headlights. 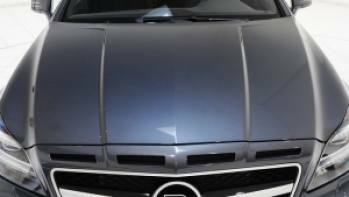 The front bumper was split into two halves at the center. 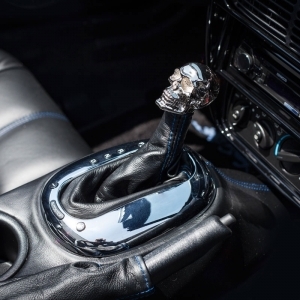 The styling was completely like those of vintage cars made in the 1910s. 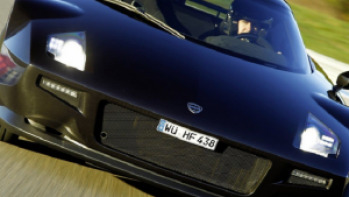 However, aluminium has been prominently used in the making of this car, especially the chassis.